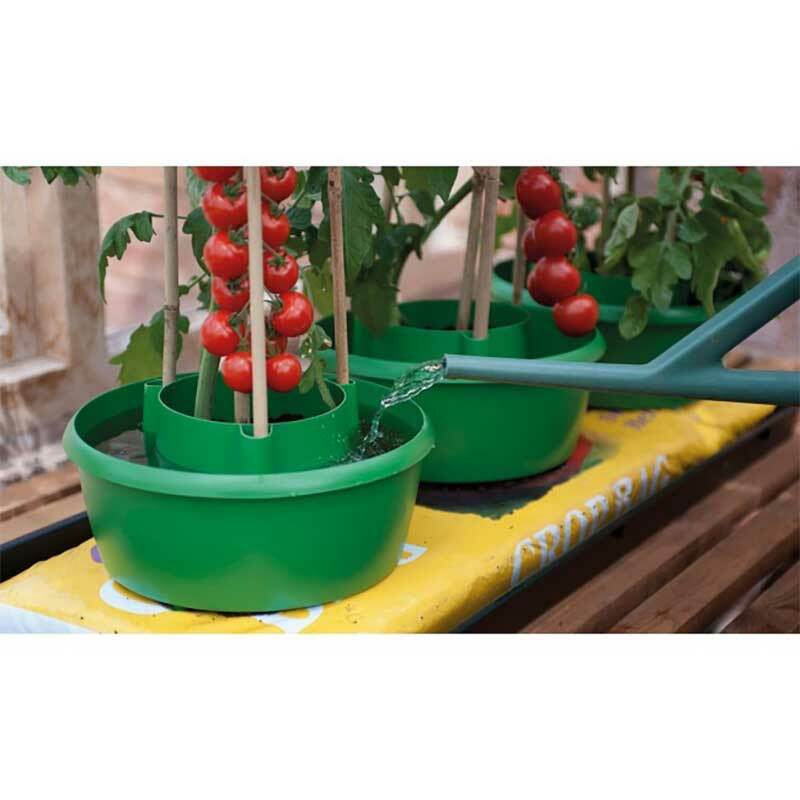 The Garland Plant Halo make it easier to water and support growbag plants like tomatoes, peppers and beans. 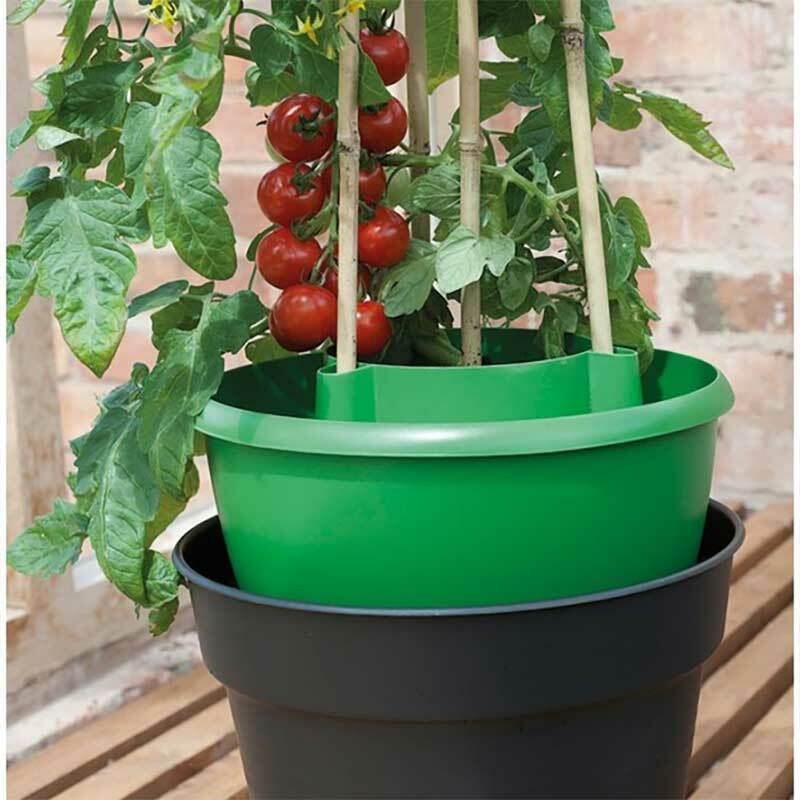 Plant Halos are manufactured from recycled, UV stabilised plastic and are guaranteed for 5 years. 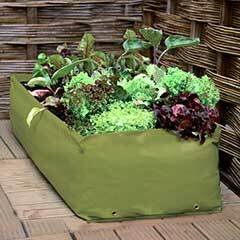 They can be used on grow bags, pots with a diameter of 26cm and above, raised beds, and on traditional vegetable plots. 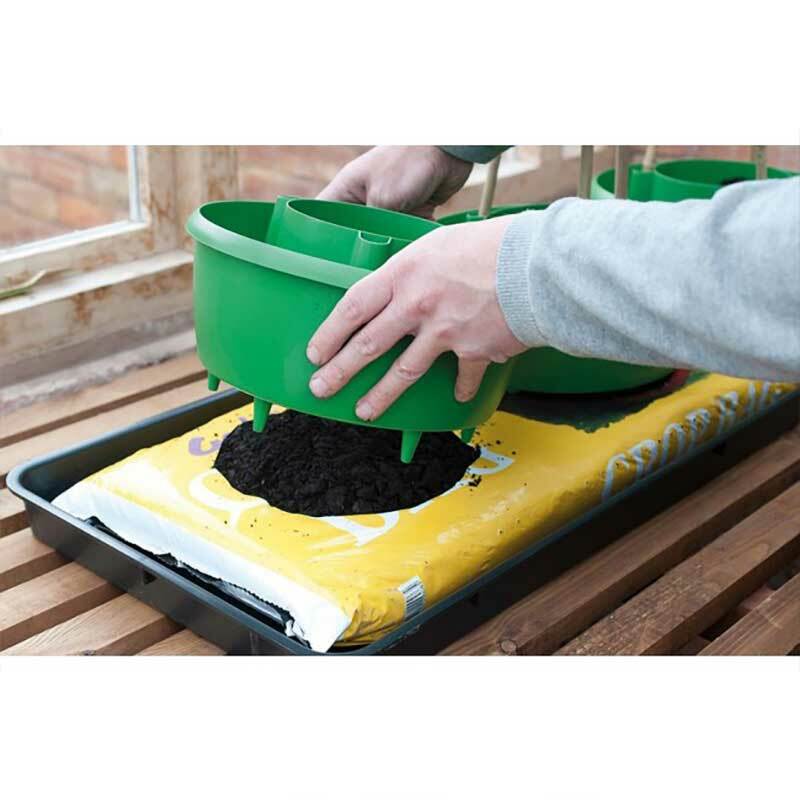 The central inner pot creates the planting area which is particularly useful when used with grow bags as it allows a deeper planting zone to develop healthier plants. 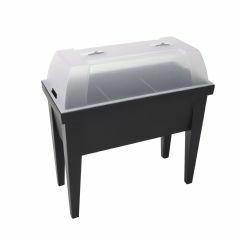 Easier to water and support growbag plants. Water and nutrients reach more efficiently. 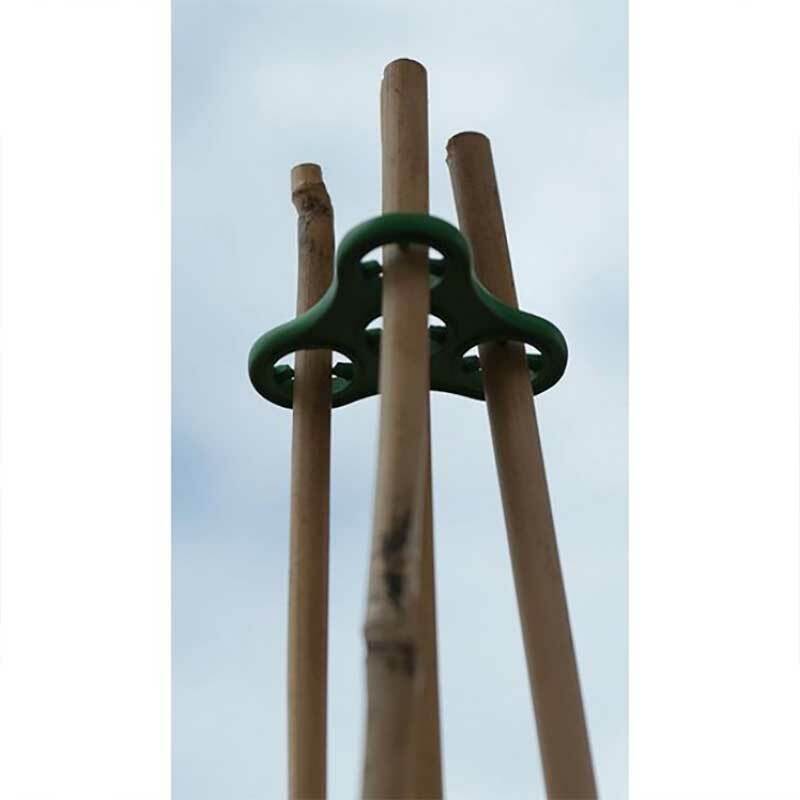 Cane support system can provide wind resistance. 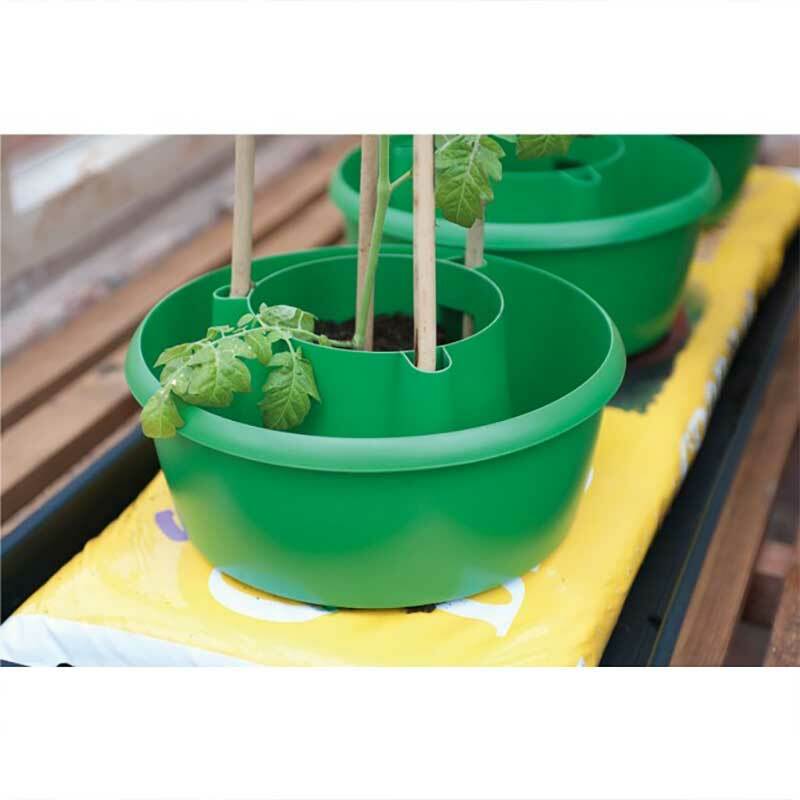 A 3.1 Litre outer moat features six 2.8cm watering spikes which penetrate below the surface, delivering water direct to the plant's roots. This ensures that water and liquid feed are delivered at a reduced rate that the plant is better able to absorb, preventing wastage which is common with conventional watering. Plant Halos also feature a unique cane support system. 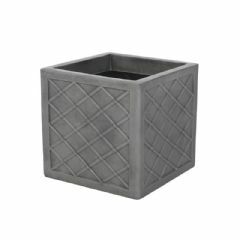 Three anchor slots surround the inner pot and provide the means for a rigid, wind resistant structure using bamboo canes. Cane grip caps are included and allow for up to 4 canes to be joined at the peak of the resulting structure. Customer Note: Bamboo canes not included. I've bought these before and had to add to my collection. 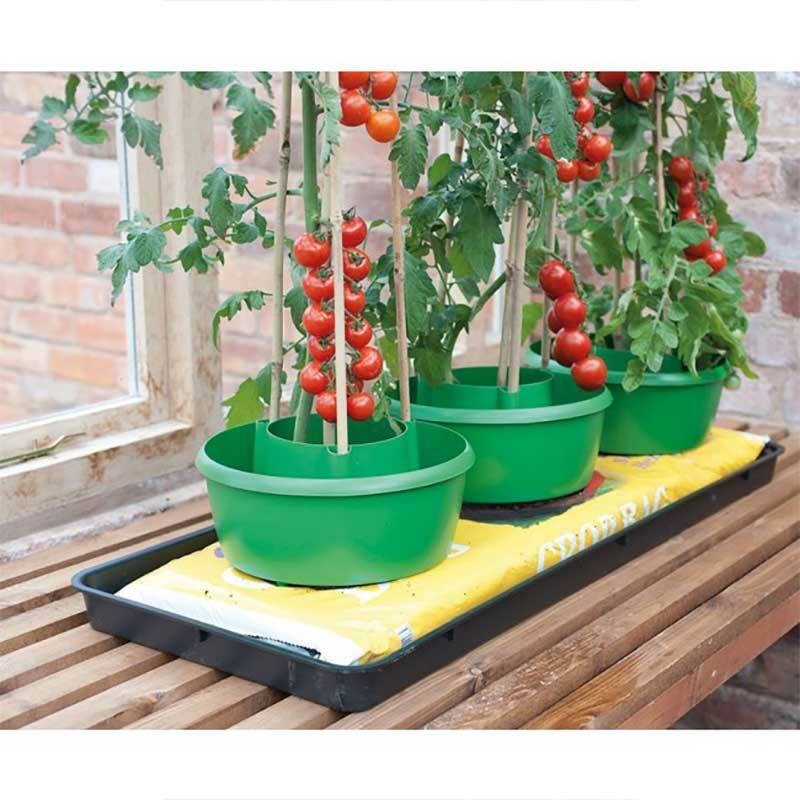 They make tomato growing so easy and they look good in the flower border too! They have lasted six years so far and store away neatly too. Excellent delivery time. Look forward to using them with my tomato plants next year. Bought to aid watering in my greenhouse borders. Plants are already showing a benefit and hopefully my water bill will too! Received them very promptly and of high quality. I bought this item for use next year,having seen it in use at a friends.  He gave it great revues. 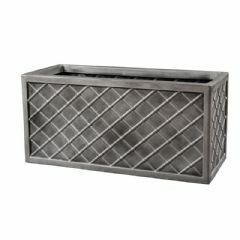 These look to be a very useful addition to my greenhouse. 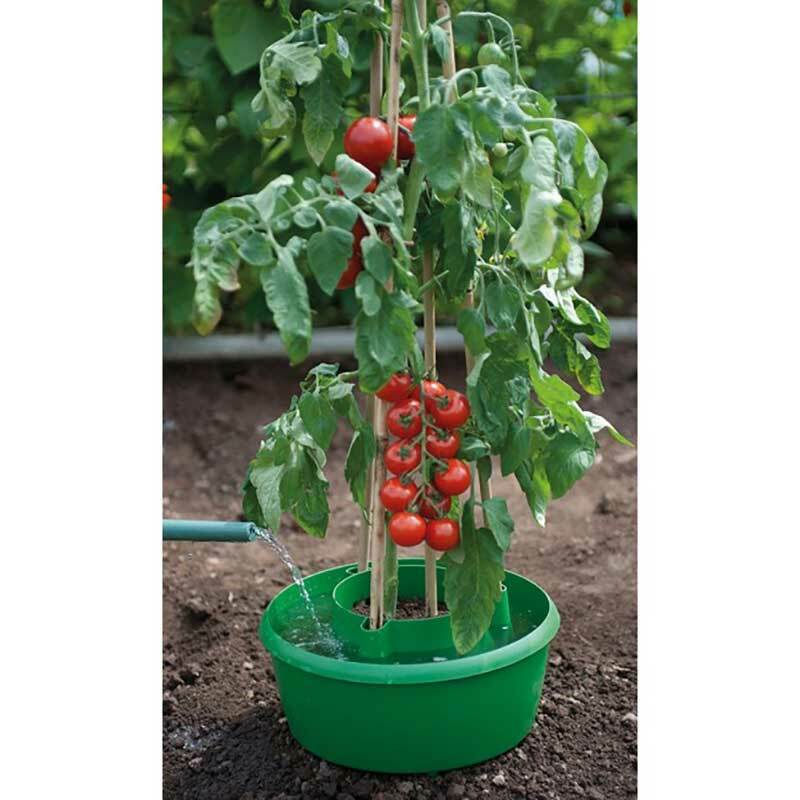 I shall be able to keep my Tomatoes watered without worrying about rotting the stems. A neat and tidy addition to the greenhouse. 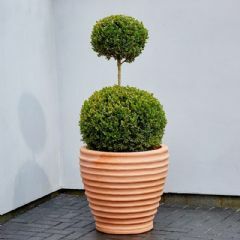 I liked the way that the support canes fit so neatly in threes into these watering pots and give an excellent framework to support the plants as they grow. I've wanted to try these plant halos for a while so decided to treat myself this season. I'm very impressed with the quality of these halos considering they are much cheaper from Greenfingers Trading Ltd than they are in my local garden centre. 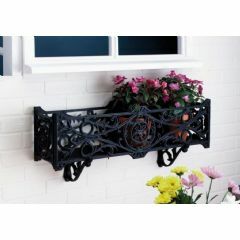 They look very sturdy & the design of them will help to support the plant as it grows. 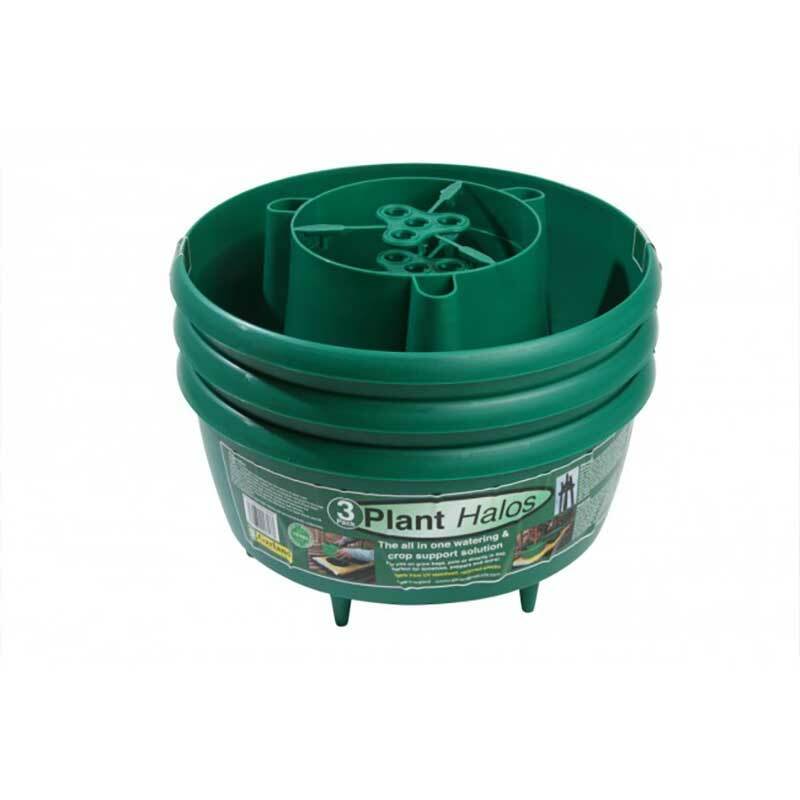 The halos will make watering the plants easier as well as getting the water directly to the root system where it is needed. Pleased with my purchase & will probably be ordering more. I have been growing tomatoes for thirty years and have tried various methods some times with very poor results. 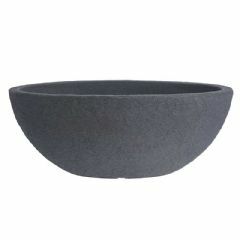 Then a friend said she had used the ring culture method with good results so I though I would have a go with the Garland pots as that was like the ring culture method .So I will try it this year and hope for good success. Product arrived in good time. 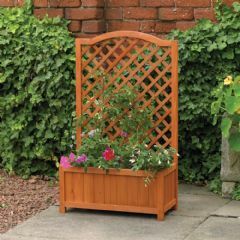 However, I bought it for next year's planting season as it was very reasonably priced. So I can not say at the moment anything about it's functionality. It's packed away.